Most people are usually curious as what to expect after weight loss surgery. 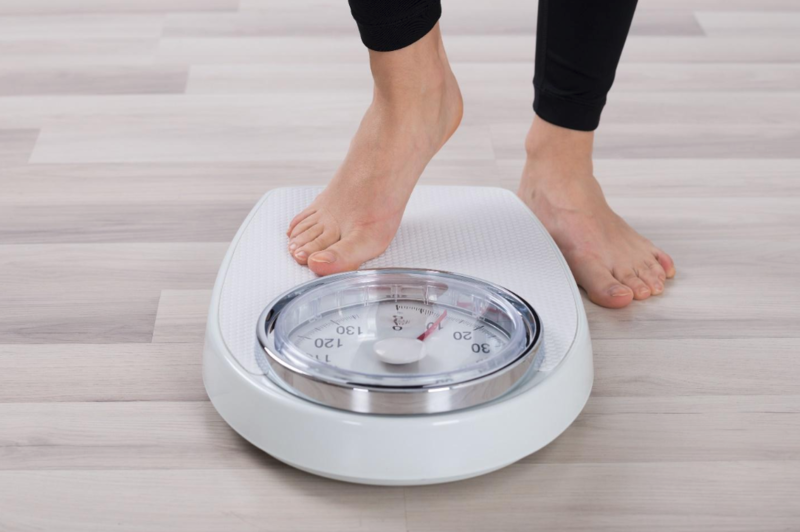 How fast people lose weight after the surgery usually depends on the specific type of weight loss surgery they have had, including how well they follow their doctor’s advice regarding their diet, lifestyle, and exercise guidelines. Another factor is that there are variations when it comes to people’s response to weight loss surgical procedures because each person has different circumstances and medical issues. In spite of these variations, there are still some things that you can expect. Read on to find out what to expect after undergoing weight loss surgery. Although each person’s weight loss could be different, around 60 percent weight loss can be expected if you strictly follow the diet recommended by your doctor, including changing your eating habits even after your recovery. Fortunately, all weight loss surgeries encourage you to significantly lower your overall food intake, making these changes easier for you to adapt. The most common thing to expect after the surgery is that you’re going to be sore. However, not too sore to leave you always lying in your bed. You can pee and use the bathroom when you need to and not going to use a bedpan. Although you may feel tired, you can be capable and functional after the surgery. You can walk in the hallways and not always flat on your back. You can also expect to be able to take liquids, but may require time to adjust because of your stomach’s new size. If you take too much and too fast, it will go back up. You can also expect dramatic weight loss over a period of time if you heed and pay careful attention on how your body responds. You are going feel better as time goes by and sore wound sites are going to be the least of your concerns. Also expect that people around you are going to pay a lot of attention to you simply because they are worried about you. Other dramatic changes you can expect after the surgery include the level of fatigue and changes in your medications, particularly medications for your blood sugar level. When you step on the scale, you can also expect to see an unbelievable number. Expect that you will also take a look at it the second time. What are the possible side effects of weight loss surgery? Most people who undergo weight loss surgeries do not experience serious problems. After a weight loss surgery, only around 10 percent of patients develop minor complications and less than 5 percent develop serious ones. Constipation: This is a common complaint of patients after undergoing weight loss surgery. However, your doctor will help you handle this side effect. Metamucil fiber or psyllium should also be avoided since it can cause obstructions. Wound infection: A wound infection is characterized by pain, warmth, redness, and pus drainage from the surgical site. This complication can occur within three weeks after your surgery. While usual wound infections are treated using antibiotics, other infections may require further surgery. Dumping syndrome: Also called as rapid gastric emptying, this side effect occurs after consuming meals that are high in sugar after weight loss surgery. In most cases, fruit juices and carbonated drinks are the culprits. The intake of sugary food and beverages can result in nausea, vomiting, and body weakness. Gallstone formation: The formation of gallstones can be expected when there is rapid weight loss. Although gallstones that develop after weight loss surgery are often harmless, they can be seen up to 50 percent of the patients. Sometimes, gallstones can cause abdominal pain, nausea, and vomiting. Some doctors also prescribe medications for as long as six months to help prevent gallstone formation. In certain cases, gallbladder removal is necessary for 15-25 percent of patients after their weight loss surgery. Sagging skin: Significant weight loss can also result in having loose or sagging skin. You can opt to get another surgery to remove it. Blood in stool: Immediately inform your doctor or seek emergency medical help if you pass black or reddish stool during bowel movements. The presence of blood in stool may indicate a serious condition. Blood clots: Blood clots occur in less than 1 percent of patients who have had weight loss surgery. Although they are rare, they can also be life-threatening. The formation of blood clots can be prevented by taking blood-thinning medications and being active. Leaks: Leakage from new connections made possible by weight loss surgeries are usually rare, but can also be serious. Leaks often occur within five days of surgery. The most common symptoms include feeling ill and abdominal pain. Anemia and osteoporosis: These health problems occur when you do not get sufficient nutrients or when your body does not properly absorb the necessary nutrients it needs. Stricture: It is an abnormal narrowing of your new stomach. The narrowing can make it difficult for you to consume solid food. It can lead to difficulty swallowing, nausea, and vomiting. Hernias: Hernia may occur in a patient’s abdomen or at the surgical site after weight loss surgery. Hernias are usually repaired with another surgery. Will I need plastic surgery to get rid of sagging skin? Significant changes can take place within 6-18 months after your weight loss surgery, including sagging or loose skin. Even though sagging skin is expected, it is often temporary in most cases. In general, excess skin can be hidden by clothing. Wearing compression garments is also beneficial to your appearance. However, some patients prefer the removal of excess skin through plastic surgery. Most surgeons usually recommend a waiting period of a minimum of 18 months before undergoing plastic surgery. The decision to undergo weight loss surgery can be a complicated process. Before making that decision, it is important to know and understand what to expect after the surgery. Making an informed decision will help you decide if the surgical procedure is right for you. We at the Health Travel Guide are here to help you on this journey! If you have any questions regarding weight loss surgery, feel free to contact us.